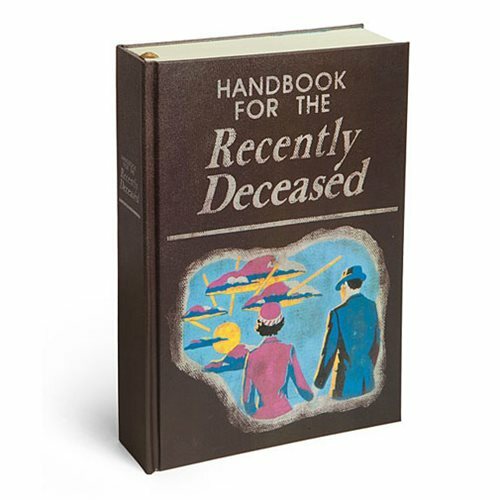 Keep track of your ghost adventures with the Beetlejuice Handbook for the Recently Deceased Journal! This journal is a replica of the handbook found in the Maitlands' household after they pass away. It comes with 250 blank pages to fill with your own exciting stories. Includes bookmark ribbon so you don't lose your place. Endpapers feature blue and white stripes with a skull, cockroach, and arrow pattern.